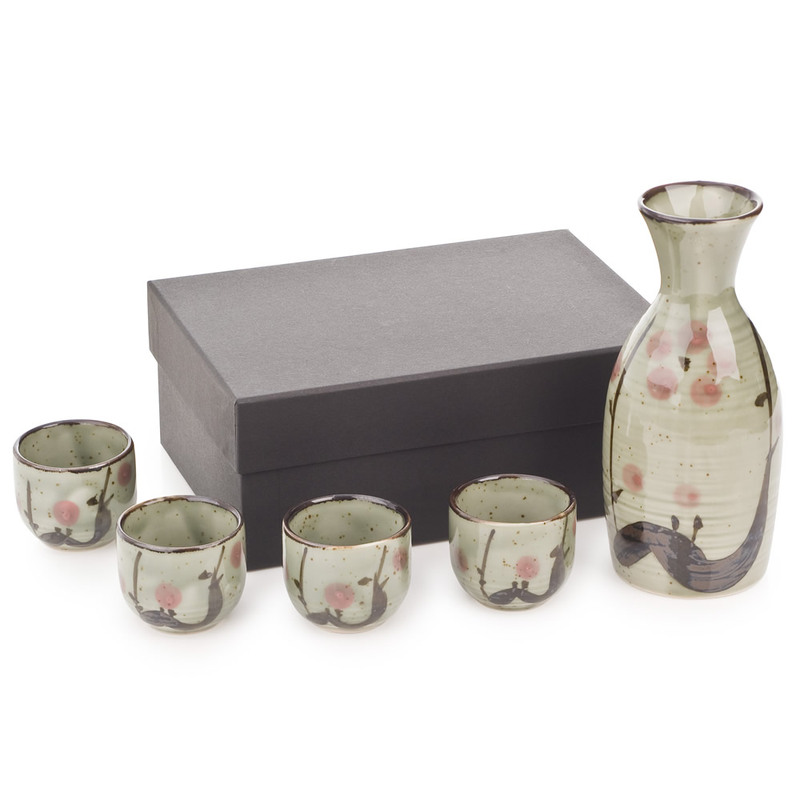 Ume Japanese Sake Set is a very elegant greeny grey Japanese sake set with a plum tree designs. Exclusive to The Japanese Shop and made in Japan it contains a sake pot and 4 matching sake cups. Pot: 280ml, 15.5cm / 6 inches tall Cups: 4.5cm / 2 inches tall. Great with sushi, drink hot (one minute in the microwave!) in the winter and ice cold in the summer! The perfect present for all sake drinkers - enjoy your sake in the authentic Japanese way! 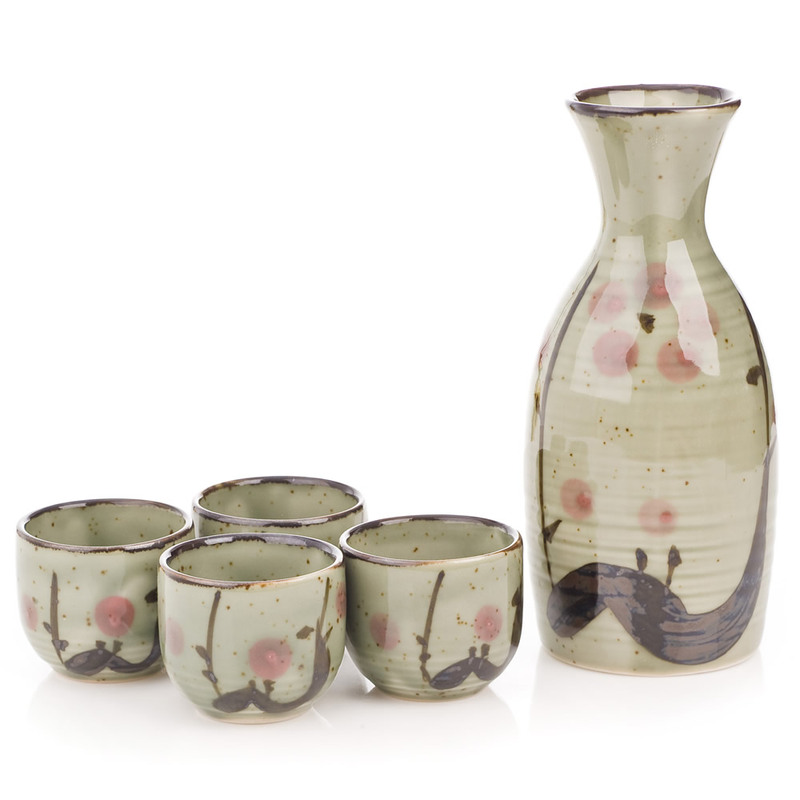 The Ume Japanese Sake Set is a very stylish traditional Japanese sake set with a greeny grey body decorated with plum tree (Ume means plum) designs. Sake (pronounced sa-keh) is a delicious Japanese rice wine which can be enjoyed hot or cold and is an excellent accompaniment to sushi and sashimi! 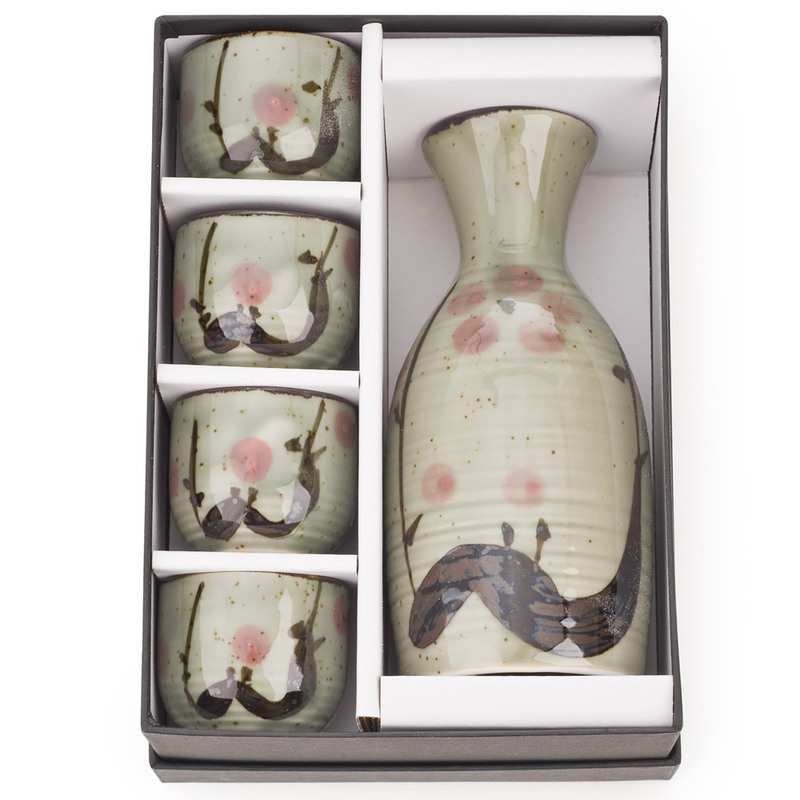 Exclusive to The Japanese Shop, the Ume Japanese Sake Set contains a sake pot and 4 matching sake cups, all made in Japan and complete with a smart gift box would make an ideal Japanese present for all sake drinkers! Safe to use in a dishwasher or microwave. Order your Ume Japanese Sake Sets online today and have them gift wrapped Japanese style free of charge, or visit our showroom for this and more authentic Japanese sake sets! 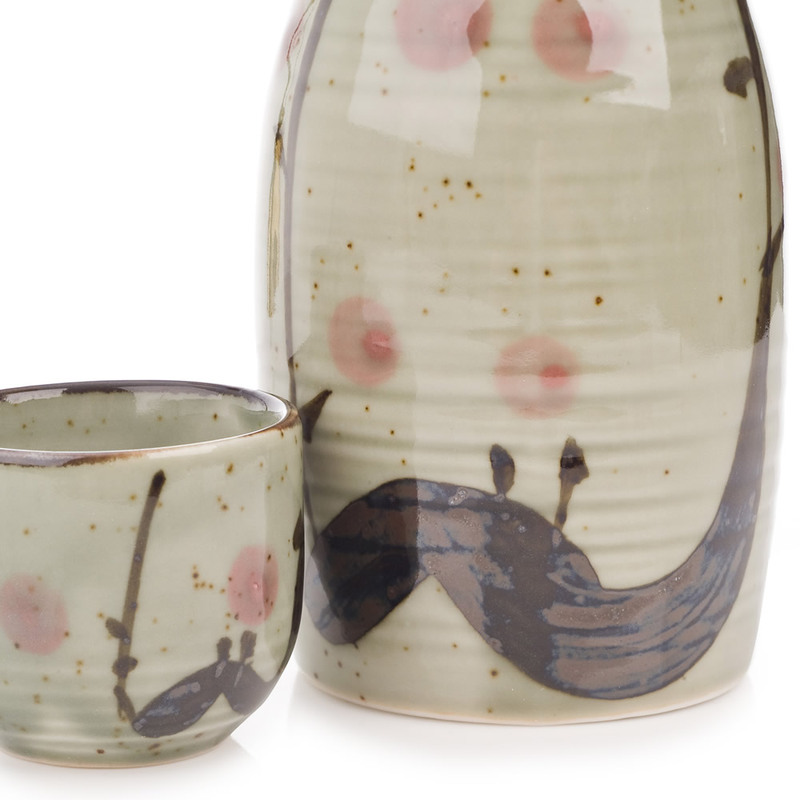 The Ume Sake Set arrived today and I am very pleased with it. Thank you for giving such a good service. Best regards. We just received this beautiful set. We will use them for a family dinner at Christmas when have sushi as a starter. The quality is fabulous, the box simple and elegant. There is a very shiny glaze and the colours are muted and delicate, just as shown in the picture. I would definitely recommend.